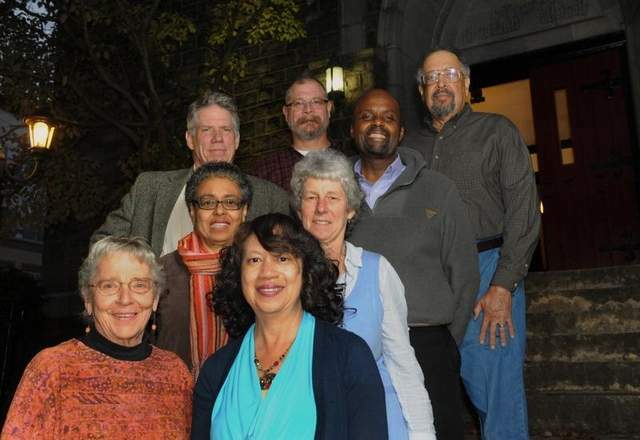 Building Bridges is a volunteer organization in Asheville “founded to overcome racism through compelling dialogue, community building and a call to action.” I participated in a Building Bridges session a few years ago and found it very valuable. The Citizen-Times recently ran this story by Barbara Blake about the history of this group. Building Bridges will hold its 20th anniversary celebration with a potluck dinner and sharing of memories from 6-8 p.m. today – Tuesday, November 12 – at the Mountain Area Health Education Center, 121 Hendersonville Rd. I look forward to attending. Sign up for the next Building Bridges session, January 27 through March 24, or learn more about the organization at www.buildingbridges-ashevillenc.org. Photo by Dillon Deacon for the Asheville Citizen-Times.